So I thought I would share a simple little setup I did for a couple of the local bars I do tills for to help avoid using Customer Entities for short term temporary bar tabs. 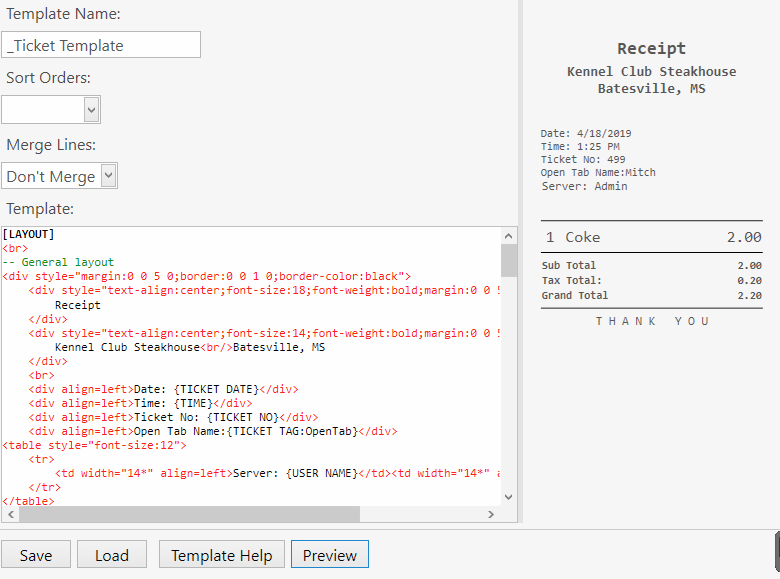 This saves having a cluttered customer entity list full of names which will not be used again. Using the ticket tag it allows the ticket to be closed without an entity and the display ticket list allows you to view and recall the open ‘Temp Tabs’. I also upgraded the setup for my original quick onsite solution to also include an ‘open’ Temp Tab count on the automation command button. How to create tabs with names without creating customer accounts? Tutorial video uploaded, 4k quality I think is still rendering on youtube servers or isnt showing as this pc isnt 4k but 1080 is ready. This is another on the fly voice-over, speeds the process up allot recording audio as going through. Didn’t do the zoom ins as suggested as would have taken a long time and my final cut skills are still fairly basic. Also didn’t cut out mistakes etc as think it helps users see how to problem solve. Let me know your thoughts or any questions. Haven’t tried but might be doable. 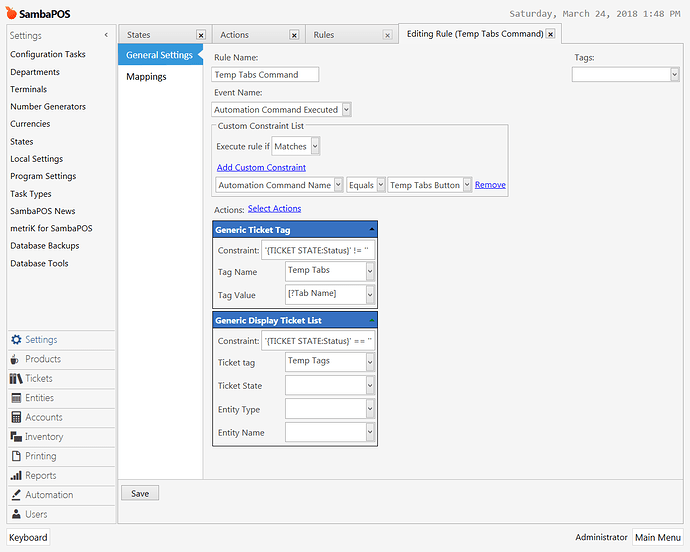 Check the ticket list action parameters and see if a second filter can be applied. I did it this was on purpose so that at end of day if someone has left a tab open it is visible for whoever is cashing up, else they have to try and find it in the main ticket list. Great tutorial. I have watched this several times and have followed it to every detail. I got the tag part to work, but the temp tabs screen which shows the open tabs will not fire. 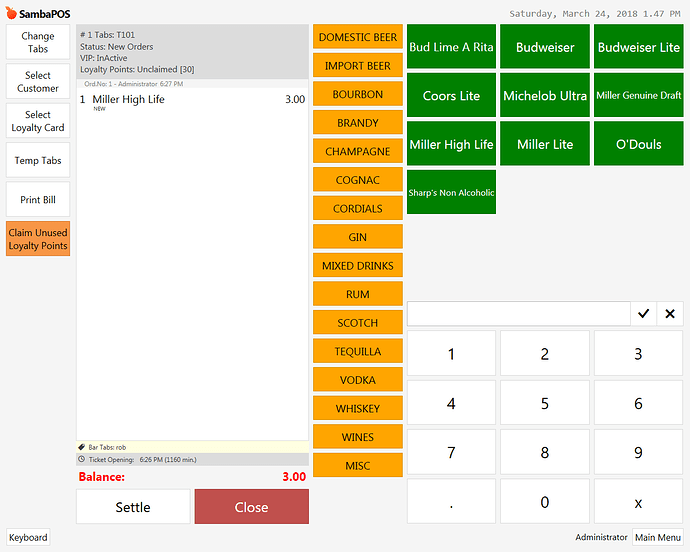 i was using the table entities to save my bar tabs. I think this is the problem but cannot figure that part out. Any help? Your trying to get a list for Temp Tags but the ticket tag is Tempt Tabs. Arrr, yes, that would be because the selection of an entity creates the ticket meaning that there is always a ticket started for your flow when you can see the button. 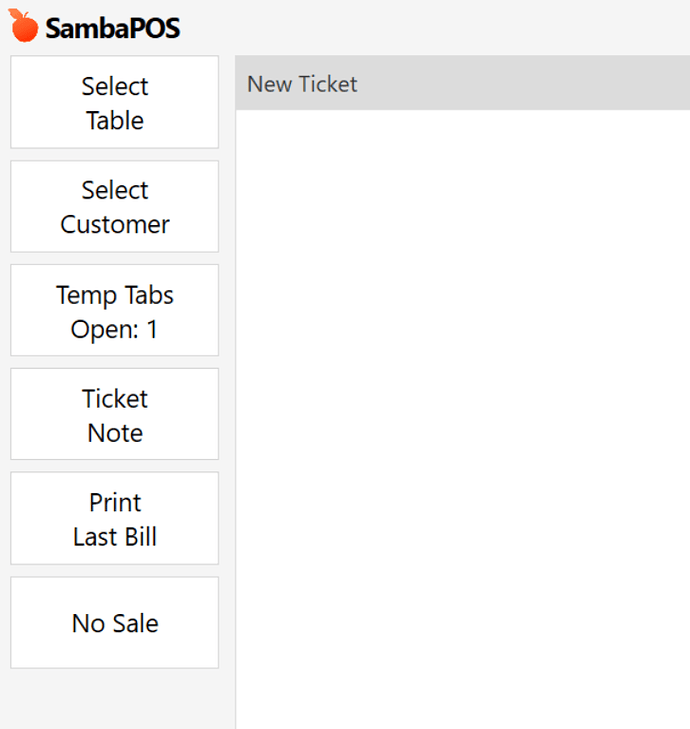 The temp tabs isnt really needed if you force table selection as ticket creation method as you would have already selected an entity by that point. You could work around if preferred by changing the action constraints to something else. This could be useful for if you have multiple people at a table with separate tickets. I created something similar a while back but am no longer working with that setup but this way seems to be a good way of doing the same thing! JTRTech, is it possible to assign the bar tab to a loyalty customer entity instead of always entering a customer name? ex. 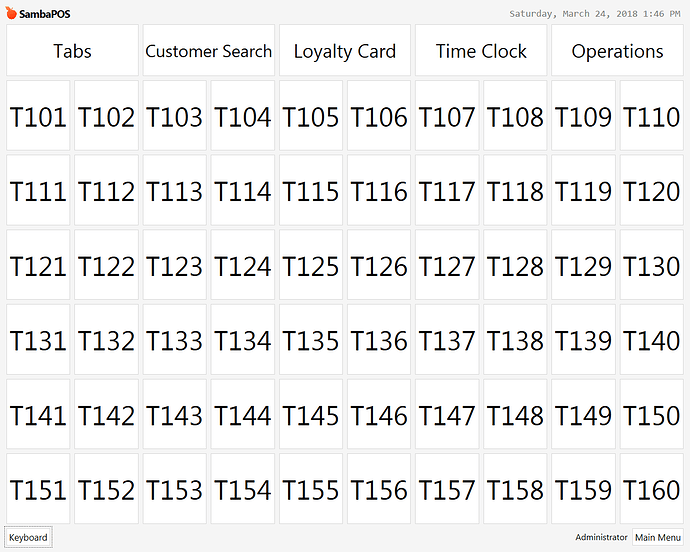 (If I have a loyalty card customer loaded on the ticket screen and they want a tab, I need to figure out how to have temp tabs recognize the entity, bypass the customer name input screen, and then assign the LC entity to the temp tab automatically.) Any help would be appreciated. But if you assigning an entity you dont need temp tabs. 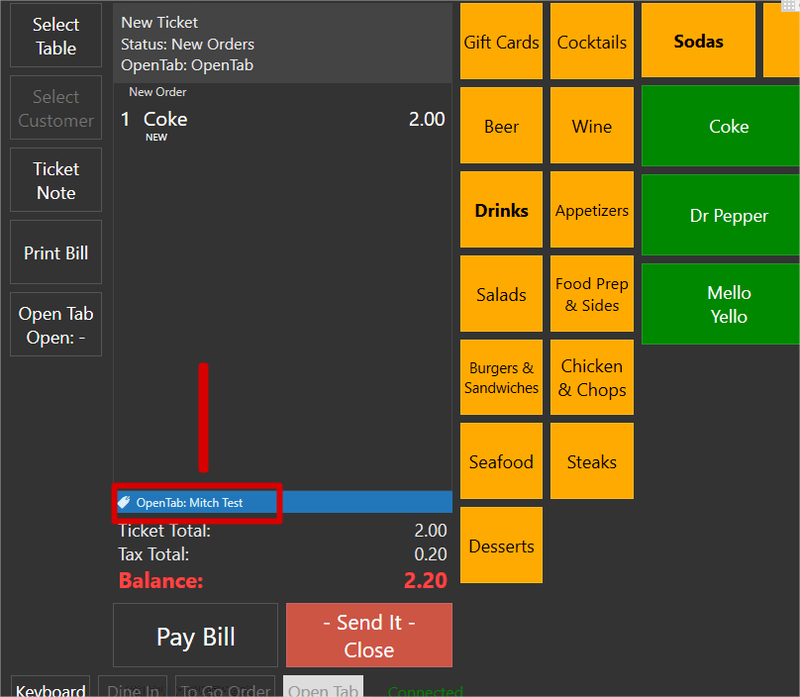 The ticket can be closed on a customer/loyalty card etc entity without the need for temp tab ticket tag. The temp tag setup is for senarios where you dont want to create an entity for a one off tab. If they are a returning customer with entity be it loyalty card or customer entity you just need to use that and use the entity screen to see open tabs for those customers. For that type of entity screen your best to have a state filter rather than a fixed grid like you would tables - think thats how customers is by default anyway. That means it only shows entityes with open tickets rather than all like tables since you would typically/eventually have too many entitys to have a grid layout that was useable. Typically you would have a state filter enity screen to show open ticket entities and a search screen for selecting entity for new ticket (again how customers is by default I think). I found this useful and I am using it but I renamed it to Open Tabs instead of Temp Tabs. 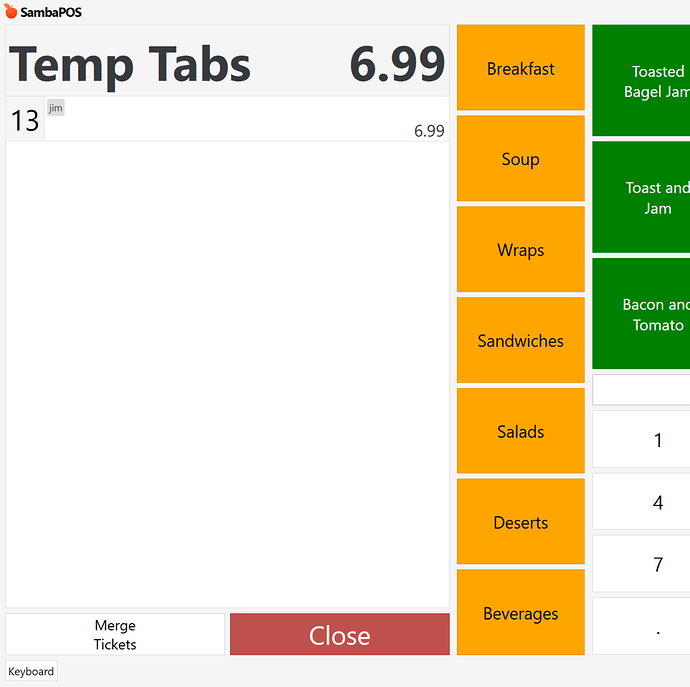 Works great however they would like the Name thats enter on the open tab (temp tab) to be displayed in the kitchen ticket. I am unsure what I need to put on the template to capture that name. I may not have something in place for that. Is that all I need to be able to put the Open Tab: NAME on the ticket in the kitchen? Nevermind, it does indeed workout.